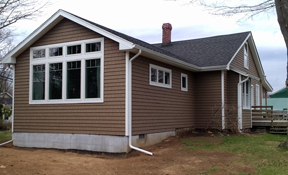 We specialize in the sale and installation of high-quality windows, doors and vinyl siding by trusted brands. 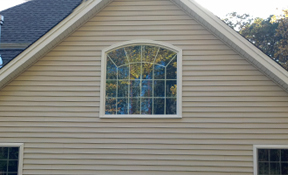 "Our new Family Room window by DiMartino Home Improvement. 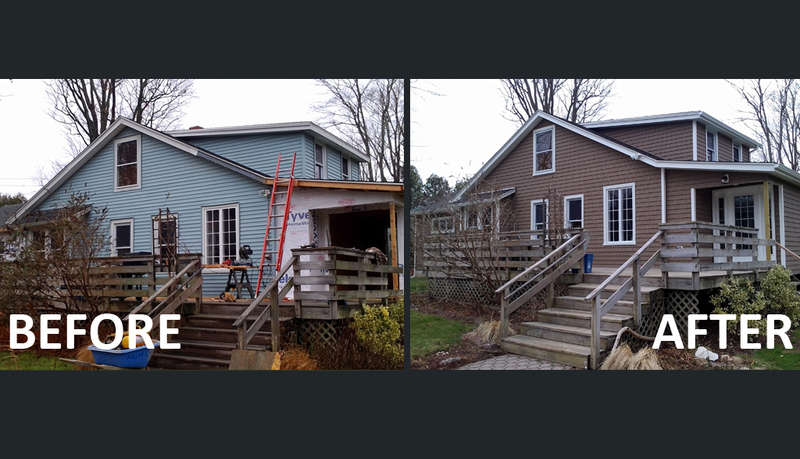 Dave and his crew did a fantastic job. 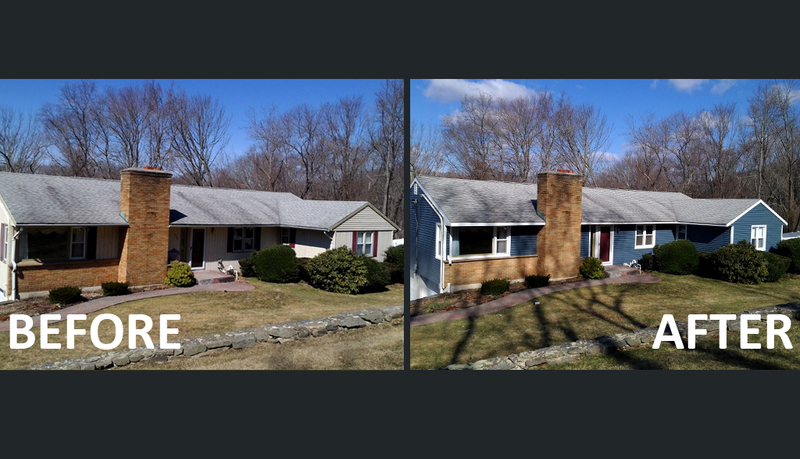 The quote was right on the money, the time estimate was perfect, the house was never open to the elements for very long. 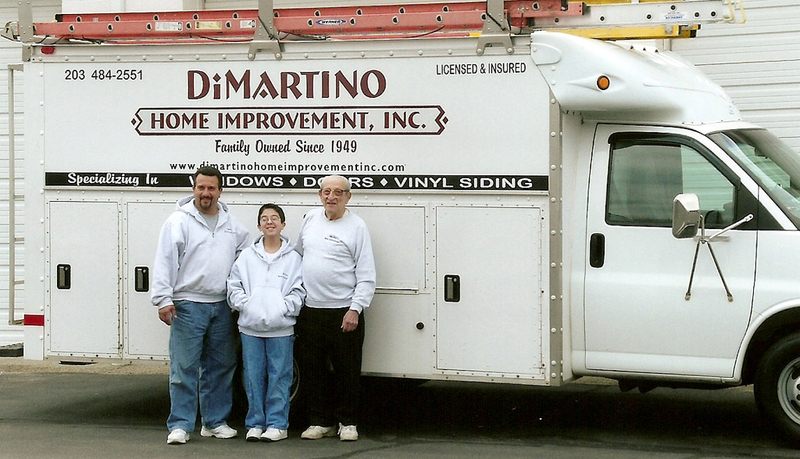 I very HIGHLY RECOMMEND DiMartino Home Improvement for your next window replacement or remodeling job. 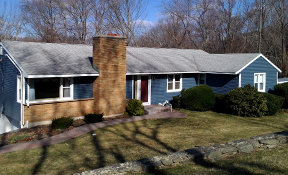 They were very professional, did the job right the first time, and when they were done cleaning up, you would never know that a demolition and reconstruction job had taken place. 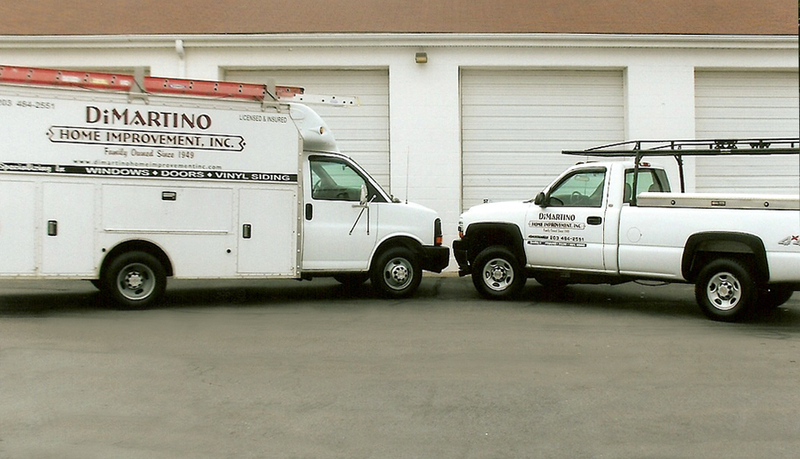 Thanks Dave DiMartino and company! 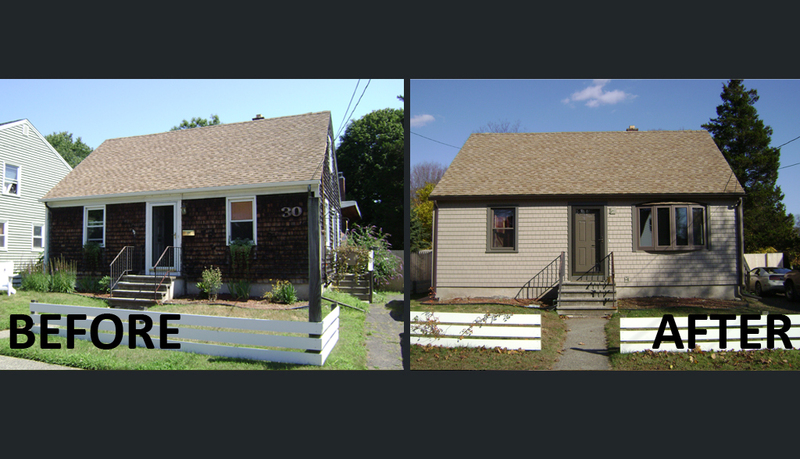 Stripped off older vinyl siding. 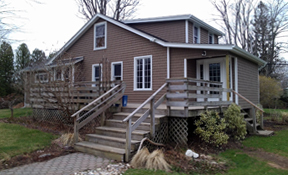 Resided main house and addition with Cedar Impressions siding, triple 5 inch in Hearthstone color. 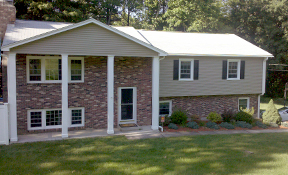 New white gutters and leaders. 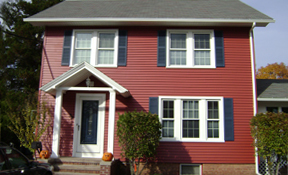 New Certainteed Monogram vinyl siding in Pacific Blue color. Stripped house of old siding. 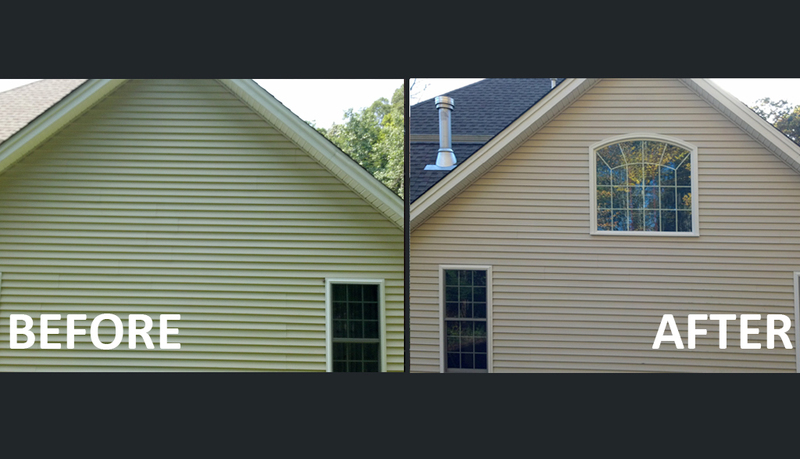 Installed Cedar Impressions siding in three different colors with a white band in the middle. First floor-Flagstone color. 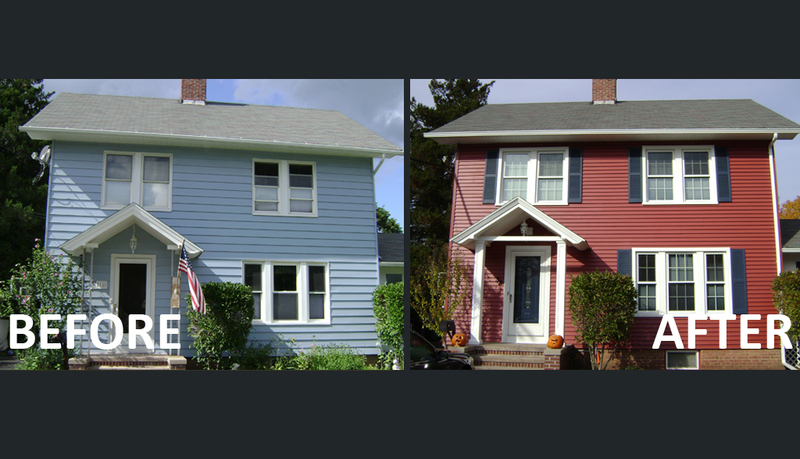 Second floor-Pacific Blue. 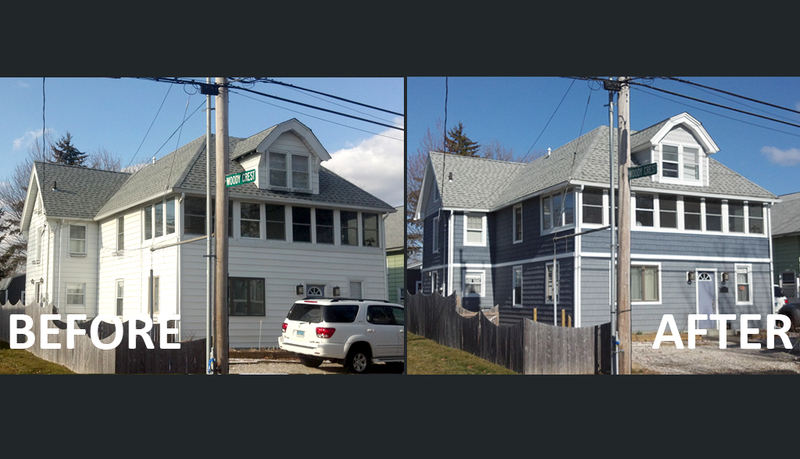 Third floor- 1/2 round panels in Sterling Gray with white trim and new gutters and leaders. Our most Patriotic house. 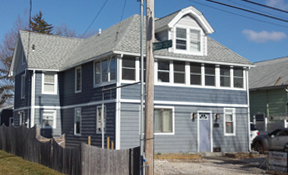 Stripped house- Walls were filled with blown in insulation, installed Triple Pane windows and new siding, gutters, shutters and columns. 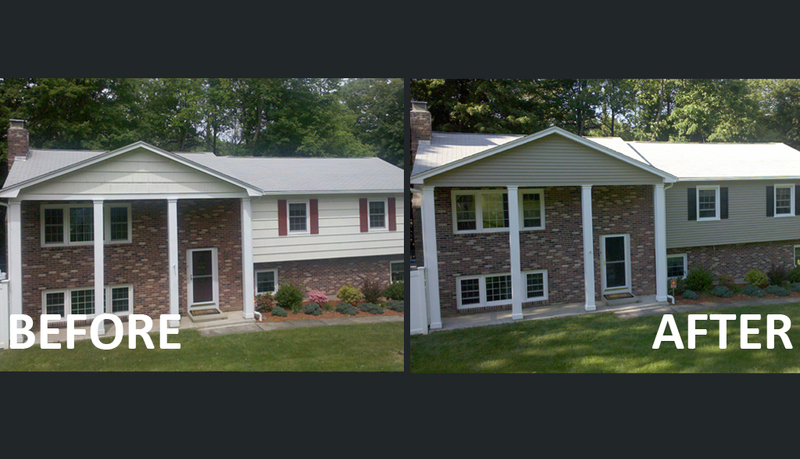 New windows, doors and vinyl siding in Pebblestone Clay with black shutters. 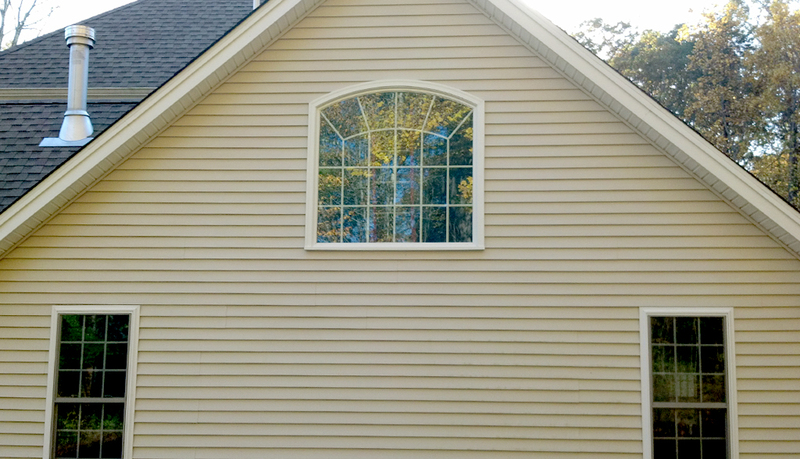 Cut in a specialty shape window on Gabel end. 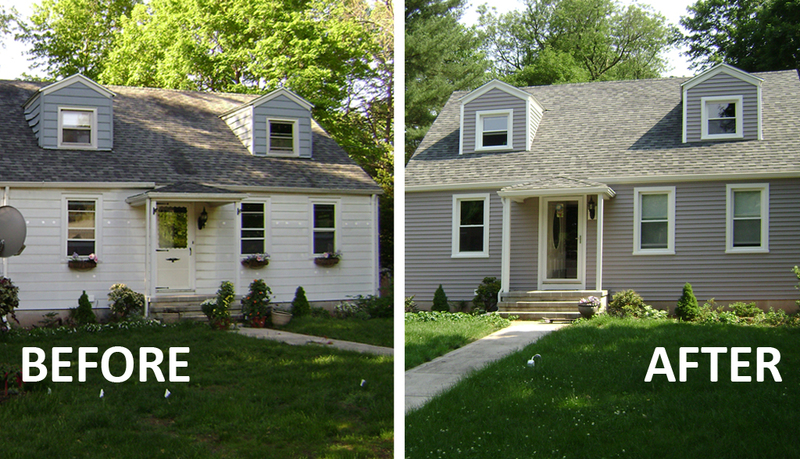 This added much needed light into their family room. 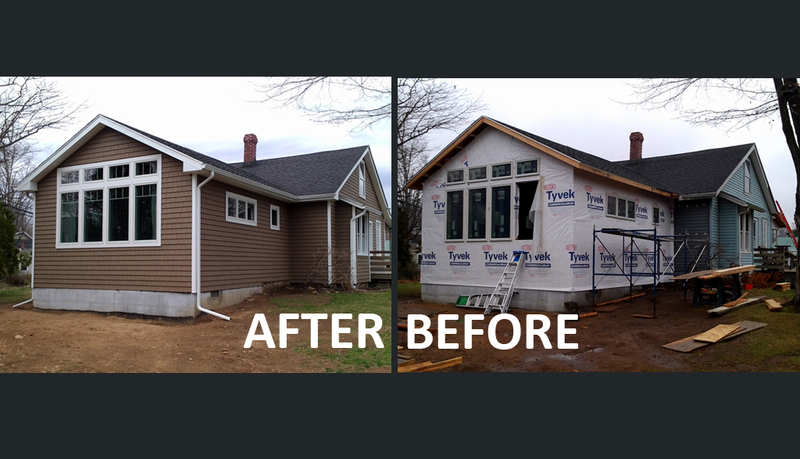 Stripped and resided with 5 inch Cedar Impressions siding to the front with 5 inch Clapboard siding to the sides and rear. 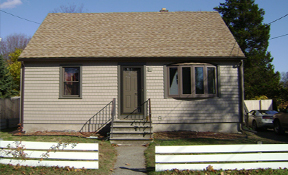 New doors and windows installed, including Bow window with roof.